As the War entered 1917, the spectre of a decreasing supply of recruits contrasted sharply with steady losses in battle. The Canadian Corps in a war of attrition in the trenches was a voracious consumer of manpower, and the combat units needed every available recruit to maintain their strength for operations. The solution, in many eyes, lay in adopting conscription as a necessity to continue Canada's contribution to the War. The demand for recruits was in fierce competition with essential manufacturing sectors and the ever-important agricultural industry that had many more mouths to feed than just those in Canada. 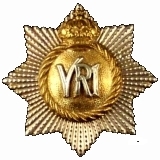 Recruiting numbers, having peaked in early 1915 and late 1916 with up to 30,000 per month entering the service for the C.E.F. had trailed off drastically. By 1917, total recruiting was barely more than a third of the numbers achieved the preceding year. Proposing conscription would set the scene for political crises, and, in the end, provide only a small number of soldiers to front line position before the end of the war. The political parties were divided in their support of conscription, and riots and demonstrations, particularly in Quebec, formed part of the people's response to the proposed bill. Prime Minister Borden finally laid the matter before Government in June 1917 and the Military Service Act became law on August 29, 1917 with the intent to conscript 100,000 men as reinforcements for the Canadian Expeditionary Force. "The provisions of the Military Service Act applied to all male British subjects in Canada between 20 and 45 years for the duration of the war and the period of demobilization. . . . The first to be summoned were young men, either unmarried or childless widowers, between the ages of 20 and 34. The final class included married men in the 40-44 age group and widowers in that age category with one or more children. . . . The conditions of exemption were broad and liberal, and covered workers in essential war occupations, or certain specially qualified workers, those whose enrolment would result in serious hardship due to "financial or business obligations or domestic position, ill health or infirmity", and conscientious objectors"
While it is not possible with available resources to determine exactly how many men conscripted under the Military Service act served with The RCR (see addendum), we do know that some did so. 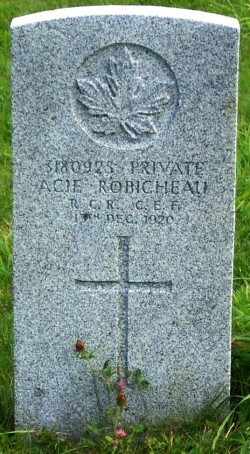 Our confirmation of this comes from the Roll of Honour of the Regiment in the First World War. A comparison of service numbers, looking for the 3,000,000 and 4,000,000 series numbers that were used (though not exclusively) for Military Service Act recruits, shows twelve members of the Regiment on the Roll of Honour with service numbers in the appropriate range. Using this information to examine attestation papers on line with the Library and Archives Canada results in confirming that eight of these soldiers were indeed conscripted. Conscripted perhaps, these eight soldiers share one significant bond with hundreds of other Royal Canadians; they served in our Regiment, and died while doing so. In 2006 when I first wrote this article, I assessed that identifying how many MSA soldiers had served in The RCR wasn't then possibe to determine. Since writing that statement, and having transcribed the Regiment's Part II Daily Orders (which recorded soldiers taken on strength among other things), I have been able to determine the number of RCR soldiers who were, in fact, MSA conscripts. Transcribing the Part II Daily Orders offered the opportunity to not only record the information they included, but also to build a CEF Nominal Roll for the overseas battalion of The RCR. 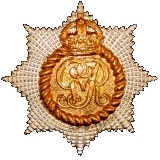 Of the approximately 4700 (all ranks) on my CEF nominal roll, I identified 460 men in the 3 and 4 million service number ranges. within which MSA conscripts were numbered. 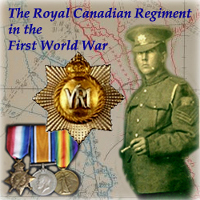 As a result of this further research into the Military Service Act soldiers of The Royal Canadian Regiment, and accepting that those 15 men without online APs will require a confirmation by checking each service record, we can now state that there were at least 345 Miltary Service Act conscripts posted to The RCR during the First World War.